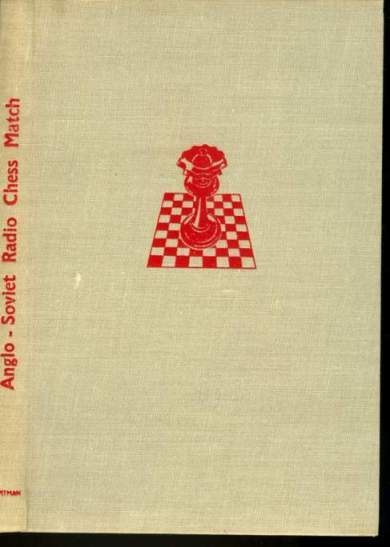 Six chapters, how the match came about, chess life in both countries, biographies of the players, the match, the games, theoretical review. 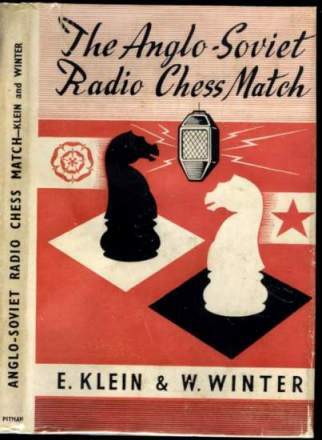 Includes all 24 games, fully annotated, with a survey of openings. 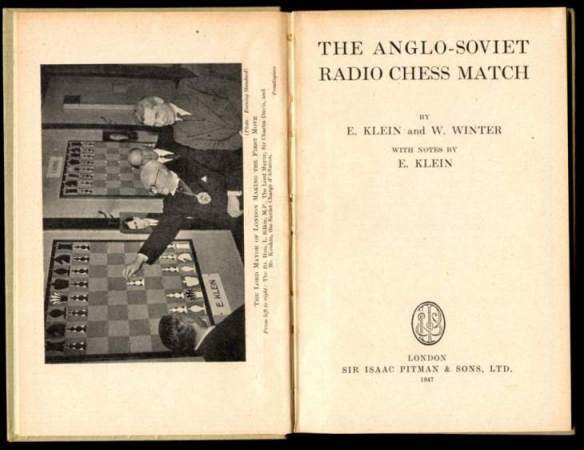 Won by the USSR 18-6. Dust jacket closed tear the length of the back fold over edge, corners and spine ends lightly chipped, 1" closed tear with creases at front head edge. A very good copy in like jacket.